The enduring material is jointly provided by William Beaumont Hospital, American Academy of CME, Inc., and the American Conference for the Treatment of HIV (ACTHIV). The 10th Annual American Conference for the Treatment of HIV (ACTHIV) was held April 28-30, 2016 in Dallas, TX. 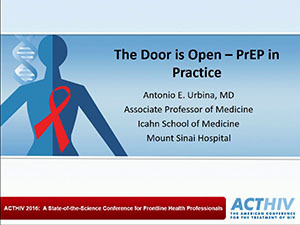 The Conference was supported by funding from the Clinical Education Initiative, New York State Department of Health, AIDS Institute; and from the HIV Medicine Association (HIVMA). The conference and this web archive were supported by educational grants from Bristol-Myers Squibb; Gilead Sciences; Janssen Therapeutics, Division of Janssen Products, LP; Merck & Co.; and ViiV Healthcare. This module is NO LONGER available for CE credit. 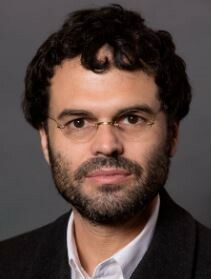 Antonio E. Urbina, MD, is the Medical Director for the Mt. Sinai Institute for Advanced Medicine/Spencer Cox Clinic and Mt. Sinai Downtown clinic in New York City. Dr. Urbina serves as a Medical Director for the Clinical Education Initiative of the New York State Department of Health AIDS Institute as well as Associate Professor of Medicine at the Icahn School of School of Medicine at Mount Sinai. Physicians (both specialists and primary care/family medicine), nurse practitioners, and nurses who are frontline providers of care to persons at risk of or with HIV infection. Physician assistants, pharmacists, case managers and other healthcare professionals may also participate. Volk JE, et al. No New HIV Infections with Increasing Use of HIV Preexposure Prophylaxis in a Clinical Practice Setting. Clin Infect Dis. 2015 Nov 15;61(10):1601-3. See also posters and abstracts from meetings cited in presentation.